A recent study from Duke University shows that a generic message from a doctor telling the patient to lose weight does not affect the weight loss results of the patient. To produce results, doctors need to lead the patients into a specific plan or routine. Only 1% of patients who are diagnosed by a physician as obese end up achieving a healthy weight within nine years. While a doctor informing a patient that they are obese and need to lose weight m ay seem like the right thing to do, it can be frustrating for the patient. Patients are usually aware of their need to lose weight and either haven’t been able to adopt healthy habits or have already been working hard with no results. Because of this, most doctors struggle with the correct way to address this complicated situation. Participants who received intervention specific counseling lost 3.1 kg (6.8 lbs) more than those who only received general weight counseling and 4 kg (8.8 lbs) more than those who did not receive weight specific counseling over the 12 month period. The study also showed that empathy was a critical factor in weight loss. When the participants rated their physician to have empathy, they lost an average of 3.2 kg (7 lbs) more than those who didn’t. 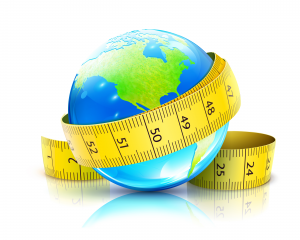 1.9 billion adults are overweight, and over 650 million are obese, worldwide. 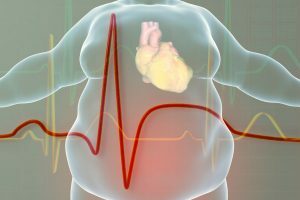 In 2016 over 38% of adults in the world were overweight which is triple the amount compared to 1975. The growing rates in adolescents are even worse with an 1100% increase in obese children in the world when compared to 1975. This hike in obesity rates is a direct link to the drastic rise in cheaper options for unhealthy foods and a higher price fo r healthy foods such as fruits and vegetables. With the more affordable option many families – especially those in poverty – rely on, the cheaper options increase the likelihood of obesity. Because of this, some of the most obese countries have less access to healthy foods and higher access to the easy and cheap options. For example, 61% of Nauru’s population (a remote island) has a BMI higher than 30. This is a common trend among the highest percentage of obese countries in the world. Global obesity is a rising issue. Although some countries seem better at handling the issue than others. In 2017, Japan only had an obese population of 3.7% while the United States (who leads first world countries in obesity) had a rate of 38.2%. The key to shifting this global issue is communication. Actively involving the international healthcare market helps to understand the underlying problems which are causing obesity rates. Promoting a healthier culture can be accomplished through sharing ideas and research. CSOFT International is helping to fight this rise in obesity with translation research into international languages. 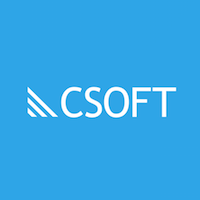 CSOFT only uses translators who are professionals in the project specific field and are in the destination country of the translations. This level of precision and expertise makes a drastic difference in the effect of research and medical technology in the target pharmaceutical market. Click here for a quick and free quote. Find out how CSOFT compares to your current translation providers.